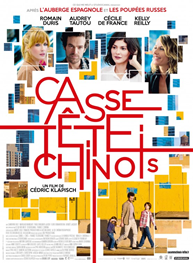 Chinese Puzzle (highly recommended): This charming and creative movie stars Romain Duris, Audrey Tautou, Cécile de France, and a few actors who aren’t from France. Its layered story works very well, and it’s a delightful blast all the way through. Now playing at the Angelika and Lincoln Plaza. Read my review from yesterday. Next Year Jerusalem (recommended): This documentary about a group of nursing home residents in their 80s and 90s is an inspirational and involving look at what’s possible when people put their mind to something. Now playing at Quad Cinema. My review will be up tomorrow. 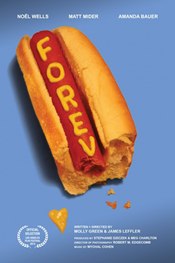 Forev (highly recommended): Three relative unknowns – Noël Wells, Matt Mider, and Amanda Bauer – are all extremely entertaining in this unexpectedly funny and smart comedy. A simple premise and some superb dialogue is highlighted by the genuine, inviting performances of the film’s three breakout performers. Her (highly recommended): My favorite Best Picture nominee from last year is an incredible, Oscar-winning vision from Spike Jonze of a man and his relationship with his operating system. Joaquin Phoenix and Scarlett Johansson are both magnificent in this moving, completely captivating film.